This guide is a complete fill in the blanks template system that will help you predict problems before they happen and keep you from losing your shirt on dog business ideas. This guide is a checklist for the owner/manager of a business enterprise or for one contemplating going into business for the first time. The questions concentrate on areas you must consider seriously to determine if your idea represents a real business opportunity and if you can really know what you are getting into. 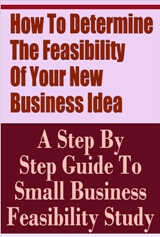 You can use it to evaluate a completely new venture proposal or an apparent opportunity in your existing business. 4. Why would someone buy your product/service? 5. What kind of location do you need in terms of type of neighborhood, traffic count, nearby firms, etc.? 1. Does the product/service/business serve a presently unserved need? 2. Are capital requirements for entry or continuing operations excessive?